Does your bra really fit? Barbara’s New Beginnings welcomes you to experience the Gift of Lift. 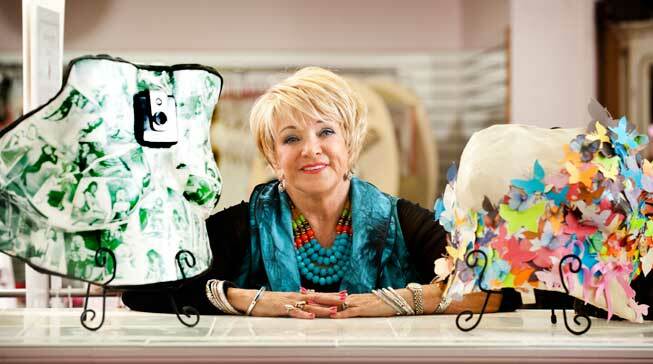 Owner and CEO, Barbara Gilbert, founded the store in 2000 with just 400 sq. ft. of space. Seventeen years later, Barbara’s has catered to women of all ages and sizes. Now in two locations and 13 employees, Barbara’s New Beginnings has been voted one of the “5 Top Shops in the U.S.” for bra fitting by Intima Magazine. We are confident that with our stock of over 10,000 brasyou will experience support, confidence, and comfort. 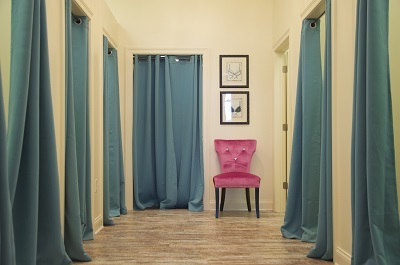 We strive for perfection and take pride in our professional fittings. At Barbara’s we carry exclusive brands such as Empreinte, Elomi, Freya, Goddess, Panache, Simone Perele, and others from around the globe! A sales associate will help you build a profile for any special notes you would like us to keep track of, your sizes, and a personal wish list! At Barbara’s New Beginning’s we invite you to be a part of our family. Our customers are more than just a face. They are our friends, our relatives, our teachers, and our shoulder to lean on. On your first visit at Barbara’s we want you to sit back and let us do all the work. Enjoy some fresh coffee on us and relax. We have been professionally fitting ladies at Barbara’s New Beginnings for undergarments for 17 years! This bra-shopping experience is fun and fabulous- much like shopping with a sister or friend who really knows her stuff. A Professional Fitter will guide you to a private fitting room to compare your current size, your measurements, and any concerns you may have regarding your physical abilities and comfort. These will all be considered in selecting the right bra to fit your needs. Every fitter at Barbara’s will go out of their way to make sure you feel your best for any occasion. We take pride in our bras and think you should too, which is why we also share tricks to wear and care of our bras. Please bear in mind, we do charge a small $10 fit fee for your first visit, however, the fee is waived with a purchase immediately following the fit. We will always discuss our return policy with you and send you home with wear and care instructions. Our Fort Wayne store is currently the only location at this time with certified fitters who have undergone 450+ hours of training to ensure that our service to you is through and through. We offer pocketed bras, foam forms, silicone forms, partial and full cup forms, form wash, and resources to help you through your New Beginning. Please be aware we are no longer able to file insurance for our customers. If you have a prescription from your doctor, it is helpful to contact your insurance company and see what items are covered prior to coming in for a fit. We are sorry for any inconvenience and will be happy to help in any way we can.